With a bustling modern city, emerging beach destinations and more temples than tourists, Myanmar's rich and thrilling culture - of dozens of languages and peoples - is naturally a drawcard. 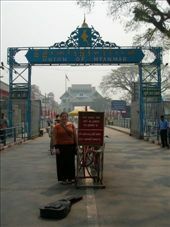 But going to Myanmar is more complicated than just buying a ticket. Since 1988, Myanmar (formerly Burma) has been under the military rule of the State Peace and Development Council (SPDC) - formerly known as Slorc - an abominable military junta. Prospective travellers should monitor events here and weigh up the arguments in support of, and in opposition to, travel.